On April 9, alumni from the classes of 1978 through 2009 came back to their alma mater to speak to juniors and seniors about their careers and current roles. They were joined by current parent Jonathan Wright. 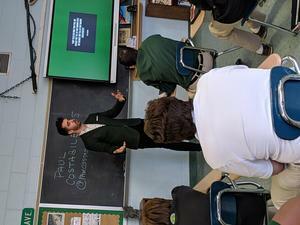 Topics ranged from engineering to entertainment, accounting and real estate. 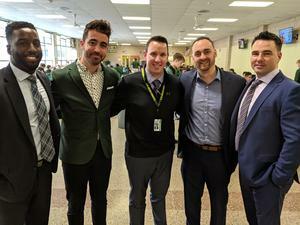 "It's great to have our alumni so willing to share their experiences with our current students," said Scott Donnelly '02, Director of Advancement/Alumni Relations. 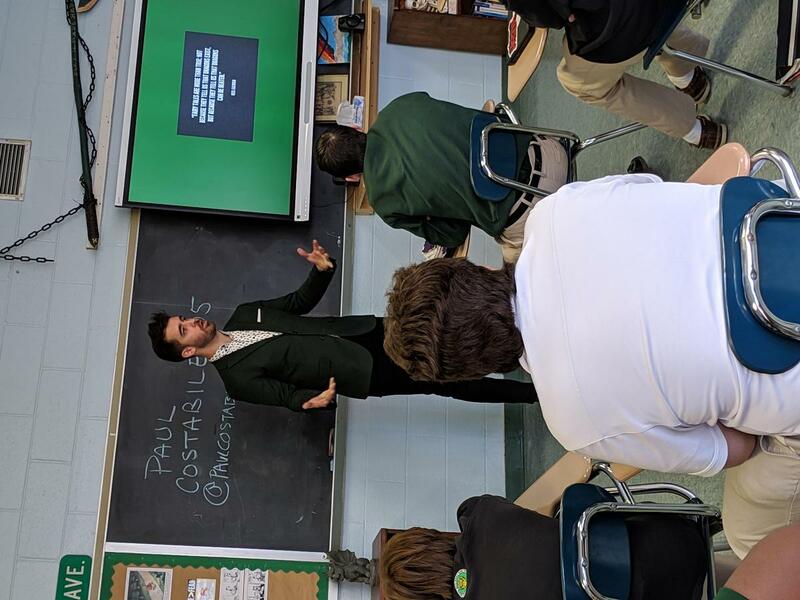 "As our upperclassmen are preparing for college and selecting majors, they can learn about and ask questions related to the field and hear from someone who has gone through the process themselves after graduating from SJR." 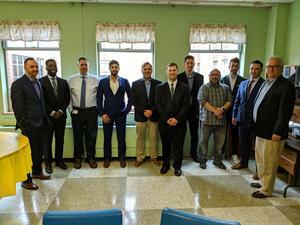 Bill Brown '78 (Architecture), Jude Cancellieri '93 (Engineering), Rob Cestola '92 (Accounting), Paul Costabile '05 (Entertainment), Mickey Gardella '09 (Law), Michael Kelly '05 (Law Enforcement), Edwyn Macelus '05 (Law), Anthony Magistro '05 (Human Resources), Dr. Michael Monaco '97 (Medical), Antonio Visaggio '09 (Real Estate) and Jonathan Wright P '22 (Sports Business) all spent the morning at SJR, presenting to students during two breakout sessions.